Style and grace come together in this beautifully designed ring from Apples of Gold. 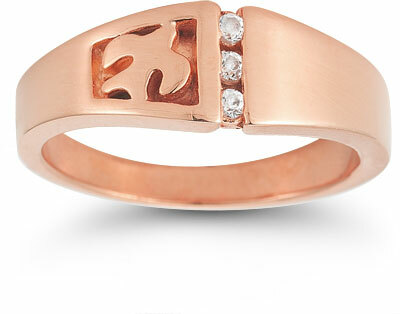 The Christian Dove Diamond Trinity Ring is crafted to showcase the always-alluring rose gold. This 14K rose gold makes for the perfect foundation for the unique design elements in this piece, like the clean-line Christian dove. 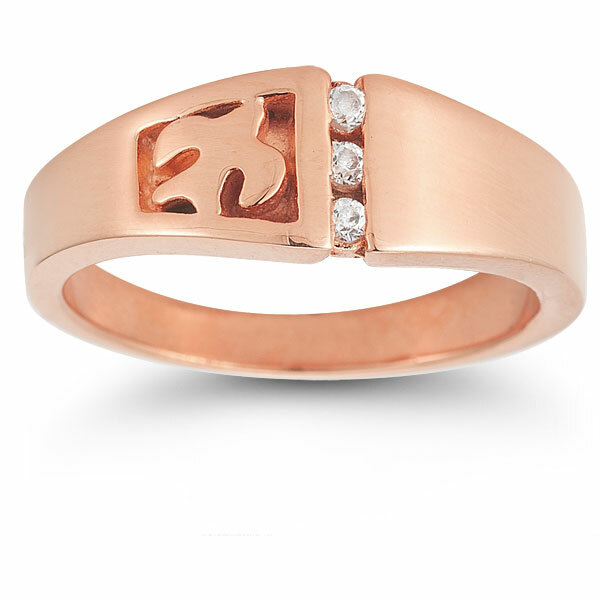 This simple shape is carved into the band for an interesting display. Opposite the dove are three white diamonds that perfect balance the ring with their undeniably brilliant shine. We guarantee our Christian Dove Diamond Trinity Ring in 14K Rose Gold to be high quality, authentic jewelry, as described above.